As the school year comes to a close, teachers are preparing for end of year testing, students are thinking about pool time with their friends, parents are bracing for kids around the house, and IT administrators are getting technology ready for next year (I’ll take the pool time, myself). With new challenges pertaining to secure standardized testing on iPad, mass deployments of new, personalized devices to incoming students that provide all of the interactive learning apps and eBooks they will need for next year’s curriculum, and taking time to help teachers who are just getting started with technology in the classroom — IT admins have their hands full. Version 9.7 of the Casper Suite makes managing and deploying iPads in schools easier and better than ever before. If you are an IT administrator in a school, take a look at some features below from our newest release that can help you manage Apple technologies this year and prepare for next. Support safe standardized test taking on iPad. Provision a device with a single DMG that includes multiple partitions, making it easy to deploy or redeploy devices for next year’s class. Or, if you are in the market for new devices, leverage the Device Enrollment Program (DEP) for zero-touch enrollment. Assign and distribute App Store apps to targeted users and groups with streamlined Volume Purchasing Program (VPP) workflows, ensuring that apps can be easily provisioned and distributed to the new class. Support new OS X and iOS security management features, including the ability to send a command to clear activation lock in mass, keeping Apple devices safe and secure. 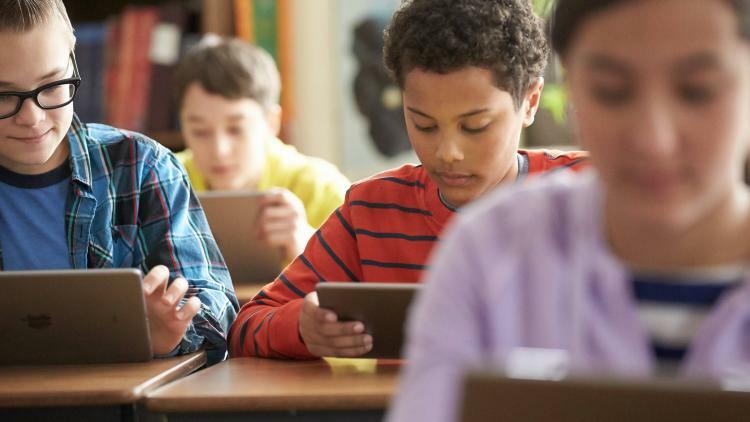 Casper Focus enables teachers to focus student iPads to a customizable message to quickly get all students’ attention and engage them during classroom transitions. To learn more, join us on April 8th at 2:00 p.m. CDT for our webinar, How to Deploy a 1:1 iPad Program in Education.